It’s always difficult letting go of employees, especially when it’s due to organizational constraints out of a company’s control. It can be an emotional roller coaster for both those leaving and those remaining. The tough decision to lay off an employee can sometimes fee l like failure on the employer’s part. Perhaps the right structure to ensure that an employee would succeed on the job was not in place. That, certain employees either couldn’t do the job or fit in with the company culture. Or perhaps financial woes dictated actions leading to phasing out one or more workers. Maybe it’s that a company is changing its direction mid-course and no longer needs certain departments or skill sets. Regardless of the reasons, letting go of staff can be heart wrenching! Employees are a company’s most valuable asset. How they are taken care of when joining a company during on-boarding or leaving a company during a downsizing event is reflected in how they are communicated with and treated. One thing that these employees will remember is: How the message is delivered and how they are led from the building. Companies have the opportunity of providing a thoughtful and smoothly executed exit plan demonstrating that the leaving staff are cared for and respected, i.e., severance package including Outplacement, This also ensures better morale for the remaining staff with continued trust towards their employer in seeing their departing friends and co-workers being treated humanely. Employers who do not plan well for a reduction in force face not just tears of hurt, rejection, and frustration from employees but anger pointed at both individuals and the company. Mishandled employees during a downsizing can be disastrous. The costs can be interminable in a number of ways. By offering Outplacement as a benefit, ex-employees may be more inclined to advocate their previous employer as being kind and sympathetic instead of badmouthing the company or instigating wrongful termination lawsuits which can lead to a costly PR nightmare. Many employees feel irate, grief stricken, and adrift when learning that they have lost their job. They often have trouble getting their bearings especially if they haven’t been in the job market for a while. 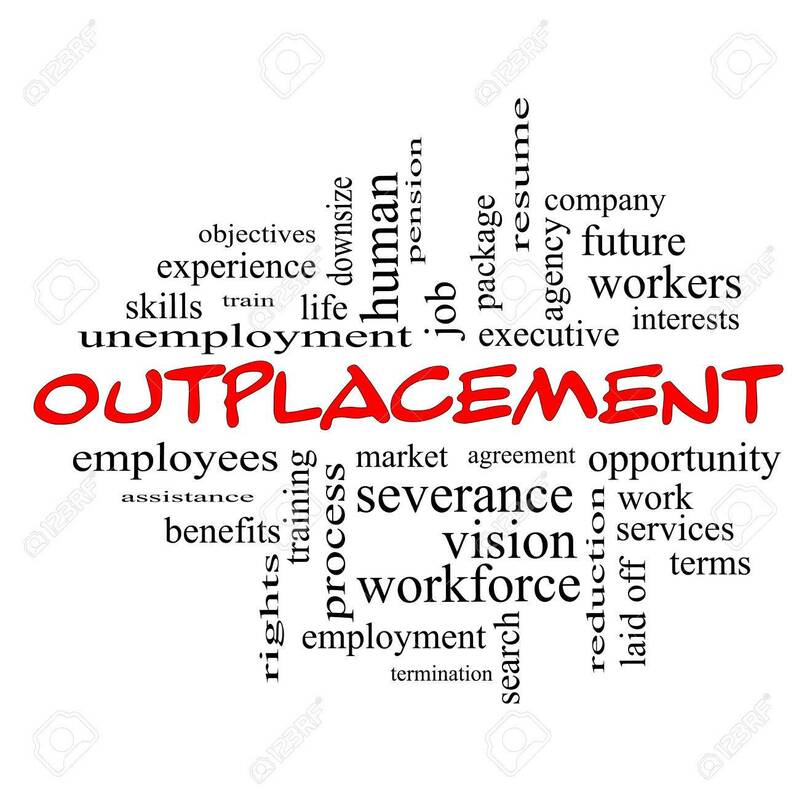 By receiving Outplacement Services immediately departing employees can get help in dealing with their job loss grief as well as in managing their careers toward their next opportunity. Outplacement Services can be a positive solution for both the employees and employer. Outplacement support for exiting personnel is a both a gift and a win-win for all involved!